The Battle of Antietam, also called the Battle of Sharpsburg, occurred September 17, 1862, at Antietam Creek near Sharpsburg, Maryland. It pitted Confederate General Robert E. Lee’s Army of Northern Virginia against Union General George McClellan’s Army of the Potomac and was the culmination of Lee’s attempt to invade the north. The battle’s outcome would be vital to shaping America’s future, and it remains the deadliest one-day battle in all American military history. By mid-summer 1862, President Abraham Lincoln had the Emancipation Proclamation—a document declaring freedom for all slaves in the so-called rebellious states—ready to go. But after several unexpected and demoralizing Union losses, including Major General John Pope’s sound defeat at the Second Battle of Bull Run, it became clear the Confederacy wasn’t going to be easy to crush. Lincoln’s cabinet feared releasing the Emancipation Proclamation at that time would seem desperate and be difficult to enforce, so Lincoln decided to wait until another decisive Union victory. To further complicate matters, Republicans faced midterm elections in November of 1862, and their victory wasn’t in the bag. 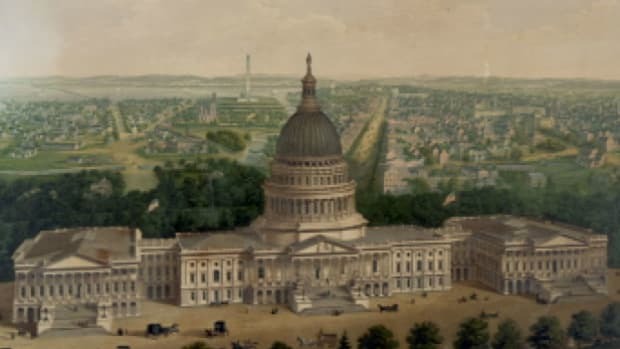 Frustrated with Lincoln’s policies and the course of the war, Democrats launched an anti-war campaign, hoping to take over the U.S. House of Representatives. General Robert E. Lee also recognized dissent among Lincoln’s ranks and hoped a battle victory on Union land might topple Lincoln’s congressional support and help secure the Confederacy once and for all. In Europe, France and Great Britain anxiously watched America’s War Between the States. They’d remained on the sidelines so far, but as they endured cotton shortages and the south seemed to gain the upper hand, they considered legitimizing the Confederacy, a move with potentially drastic implications. After Lee thwarted the plan of General George B. McClellan to lay siege to Richmond—the capital of the Confederate States of America—in the Peninsula Campaign in the spring and summer of 1862, McClellan retreated. 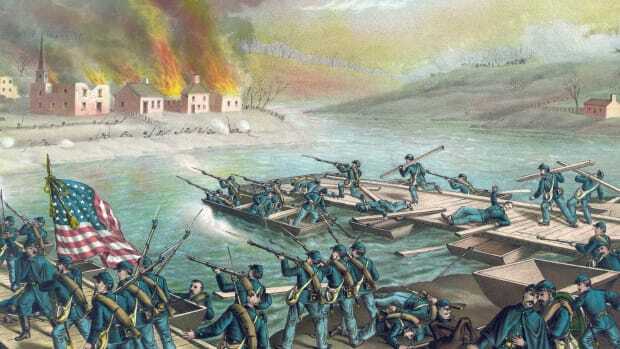 Hoping to take advantage of the Union’s low morale and seeming ineptitude, Lee chose to push his army north across the Potomac and into Maryland where they soon occupied the town of Frederick. On September 9, Lee issued Special Order 191 defining his “Maryland Campaign.” His plan to enter northern territory divided his army, sending each unit to march on a specific town: Boonsboro and Hagerstown in Maryland, and Harper’s Ferry and Martinsburg in West Virginia. After the Confederates abandoned their campsite around Frederick, McClellan’s army moved in. What happened next was pivotal: On September 13, two Union soldiers, Private Barton W. Mitchell and Sergeant John M. Bloss, discovered a copy of Special Order 191 with detailed Confederate troop movements, allegedly wrapped around three cigars. Upon learning of the valuable find, an ecstatic McClellan reportedly exclaimed, “Here is a paper with which, if I cannot whip Bobby Lee, I will be willing to go home.” He immediately moved his army in hopes of foiling Lee’s battle plans. And when Lee heard a copy of Special Order 191 was missing, he knew his scattered army was vulnerable and rushed to reunite its units. 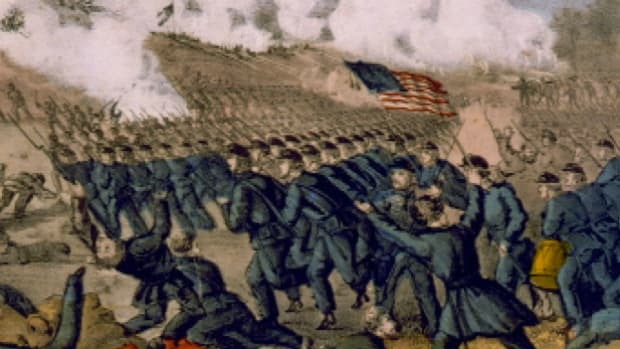 On September 14, at the base of South Mountain near Sharpsburg, Confederate Generals D.H. Hill’s and James Longstreet’s units encountered Union resistance and sustained heavy casualties. Lee planned to retreat to Virginia, but changed his mind after hearing Confederate General Thomas Jonathan Jackson—better known as Stonewall Jackson—had captured Harper’s Ferry. Instead, Lee ordered his army to regroup at Antietam Creek near Sharpsburg. The Battle of Antietam began at dawn on September 17 as the fog lifted. 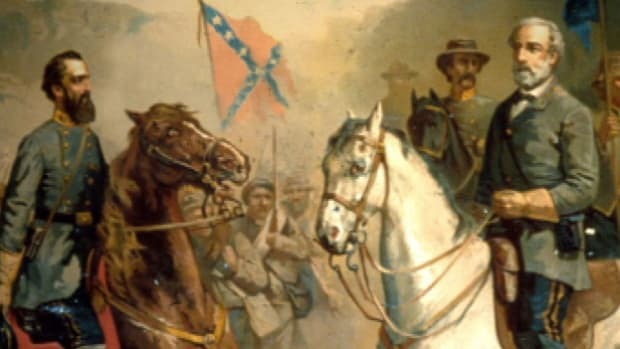 Longstreet’s and Hill’s units formed the Confederate right and center flanks to the west of Antietam Creek, while Jackson’s and Brigadier General John G. Walker’s units formed the Confederate left flank. All of Lee’s troops were worn-out and hungry, and many were sick. They watched and waited as McClellan’s army assembled along the creek’s east side. Union forces outnumbered Confederates by two to one, although McClellan thought Lee’s forces were much larger. Troops from both sides faced-off across a 30-acre cornfield owned by David Miller. 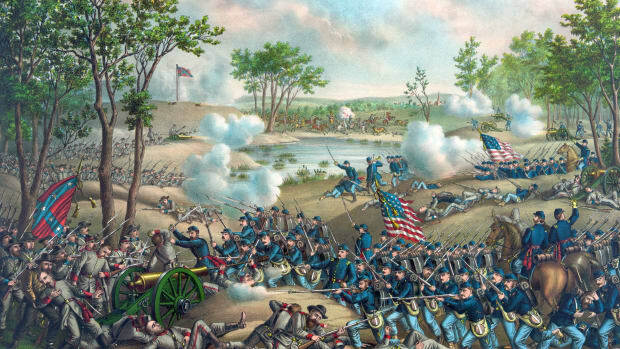 Union troops fired first at the Confederate’s left flank and the carnage began. 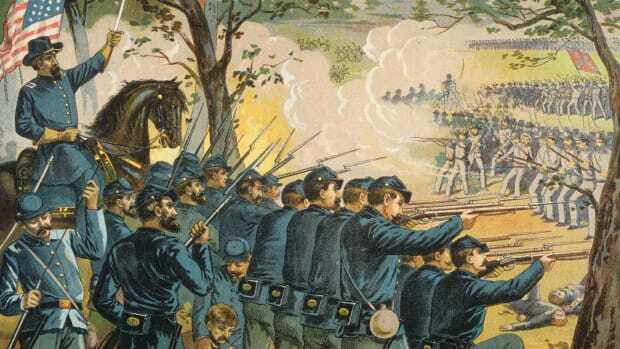 Confederate troops ferociously fought off offensive after offensive to prevent being overrun, turning the cornfield into a massive killing field. Just eight hours in, there were over 15,000 casualties. Near the center of the battlefield, another site of slaughter was a farm lane known as the “Sunken Road,” where Hill’s division of approximately 2,600 men had piled fence rails along the road’s embankment to fortify their position against Union Major General William H. French’s 5,500 approaching troops. When French’s troops arrived, fighting ensued at close range. 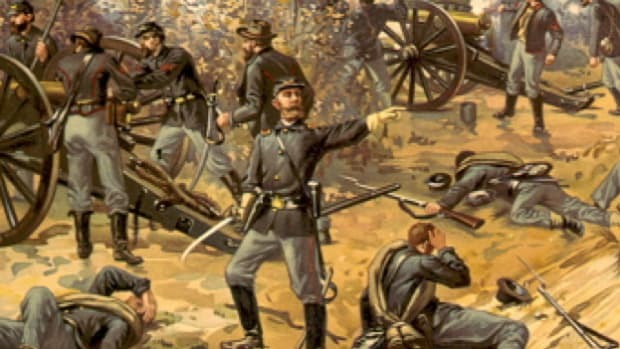 Three hours later, Union troops had pushed the Confederates back and over 5,000 men were either dead or injured. 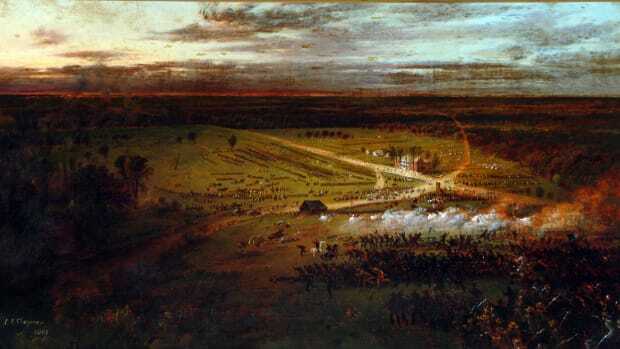 The fighting was so gory Sunken Road earned a new name: Bloody Lane. For more than three hours, fewer than 500 Confederate soldiers held Lower Bridge against multiple assaults by Union General Ambrose Burnside’s Ninth Corps. After Burnside’s troops finally took the bridge and had the Confederate right flank in sight, Confederate reinforcements arrived and pushed them back. As night fell, thousands of bodies littered the sprawling Antietam battlefield and both sides regrouped and claimed their dead and wounded. Just twelve hours of intense and often close-range fighting with muskets and cannons had resulted in around 23,000 casualties, including an estimated 3,650 dead. The next day, as Lee began the painstaking job of moving his ravaged troops back to Virginia, McClellan, surprisingly, did nothing. Despite having the advantage, he allowed Lee to retreat without resistance. From his point of view, he’d accomplished his mission of forcing Lee’s troops from Maryland and preventing a Confederate win on Union soil. President Lincoln, however, wasn’t pleased. He thought McClellan missed a great opportunity to kick the Army of Northern Virginia while they were down and potentially end the war. After the war-weary general repeatedly refused Lincoln’s orders to pursue Lee’s retreating troops, Lincoln removed McClellan from command on November 5, 1862. 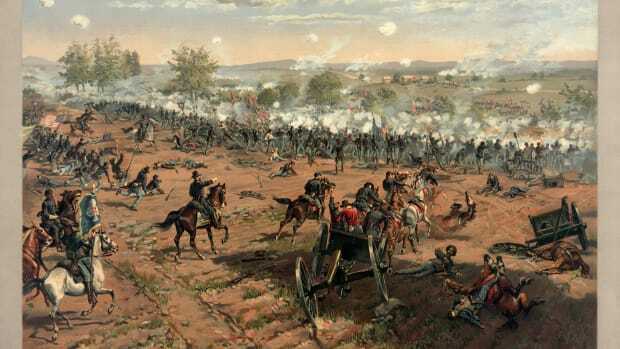 Military historians consider the Battle of Antietam a stalemate. Even so, the Union claimed victory. And keeping Confederates in their southern box enabled President Lincoln to finally release his Emancipation Proclamation on September 22, 1862. Ironically, Lincoln’s proclamation didn’t free slaves in Maryland—one of a handful of slave states that had remained in the Union—since it only applied to slaves in rebel states. Still, it endorsed the idea that the war wasn’t just about states’ rights but also stopping slavery. The Union’s claim of victory at Antietam and Lincoln’s Emancipation Proclamation are thought to be why Republicans held the House in the 1862 mid-term elections. They also ended any hope of France and Great Britain acknowledging the Confederacy and coming to their aid. This further isolated the Confederacy and made it harder for them to re-supply their troops and citizens. There has never been a bloodier day in American military history than September 17, 1862. Not only did the Battle of Antietam change the course of the Civil War, it also brought to light the horror of war in a way never seen before, thanks to photographer Alexander Gardner’s dramatic battlefield photographs. Lost Order, Lost Cause. Central Intelligence Agency. The Battle of Antietam: A Turning Point in the Civil War. The Gilder Lehrman Institute of American History. The Battle of Antietam. National Park Service. The Maryland Campaign of 1862. Civil War Trust. The Peninsula Campaign. Encyclopedia Virginia. The Significance of the Battle of Antietam. Antietam on the Web. Special Orders No. 191. National Park Service. Why did Lee Enter Maryland? Antietam on the Web.